Once upon a time, property programmes were hardly known to the great British public, at least, not ones that showcased properties available abroad. Today, even a cursory glance through any television schedule will show not one, but often several property programmes featuring searches for property in countries as wide ranging as the USA, Australia, Spain and of course, the ever popular France. It is clear that we love property television, and anyone looking to purchase or build a house (Building or extending property in France) in France is very likely to be an avid viewer as France seems to be one of the favourite and most featured destinations in such programmes. 1. The Best of France from "A Place in the Sun"
One of the first and still best loved of these programmes is A Place in the Sun. 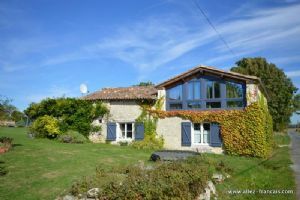 The programme has covered many regions of France, and is often cited by property seekers as one of the main inspirations behind their desire to buy a home in France. The programme follows the tried and tested format of a glamorous presenter selecting three or four properties to show to the "would be" buyer in any chosen area. In addition to the properties, we are shown around the locality, with seductive views of the scenery and a brief introduction to the towns or villages where the property is located. In some cases, ex-pats who live in the area having relocated from the UK are interviewed to give a personal experience viewpoint. A Place in the Sun offers a good, if sometimes overly rosy introduction to areas and towns in France, and does show what type of property is available (Property in France - Types of houses in France) and a guide to the sort of prices that are payable. However, as many of the shows are repeats, be careful to check the date of the programme in question to ascertain whether prices are current or not. One popular town featured in the series is La Rochelle (La Rochelle Property Guide) on the west coast of France. La Rochelle has everything: excitement, colour and heritage and a wonderful selection of shops, bars and restaurants. The terrific beaches and an excellent sunshine record are added bonuses, so it is far from surprising that this is one of France's premier property hotspots. Another town featured was that of Beaulieu sur Dordogne. 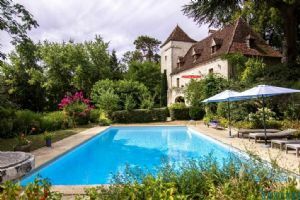 Situated in a wonderful location on the banks of the Dordogne River, Beaulieu sur Dordogne (Beaulieu sur Dordogne Property Guide) would be a stunning place in the sun in which to own property. With its Romanesque Abbatiale Saint Pierre and 17th and 18th century riverside houses, the town offers architectural delights and an interesting history to discover. And for those of you with a passion for strawberries, you will be pleased to know that the town holds an annual Strawberry Festival, which always fun for all the family! 2. A View of France from "A Place in the Sun, Home or Away"
Following on from A Place in the Sun series, there is also A Place in the Sun, Home or Away. Here, two presenters show prospective buyers, usually couples, around a selection of properties both in the UK and in other countries. As ever, France proves a popular destination, and a lot of the programmes shown focus on different areas of France. The idea of the programme is that one of the couple hopes to find the ideal property in the UK, while the other dreams of a new life abroad, creating an interesting conflict at times! The format is very similar to that of the original Place in the Sun series, but with the added twist that the couples have to reach agreement on not just the property but on whether to buy at home or away. One city to receive the Home or Away treatment was Perpignan (Perpignan Property Guide), set down in the deep south of France. Very proud of its Catalan heritage, Perpignan is a lively, fascinating city with a strong cultural identity and lots going on to enjoy. Its location, close to the beautiful Côte Vermeille (Côte Vermeille Property - an insider's guide), makes it a dream destination for many property seekers. A second popular town chosen by the Home or Away property seekers is that of Poitiers (Poitiers Property Guide), another principal town, this time in the Poitou-Charentes region (Poitou-Charentes Property Guide) of western France. The old city is full of interesting heritage, while the more modern side to life in Poitiers offers great shopping and dining and a fabulous educational theme park, Futuroscope. The surrounding countryside is delightful, and the area offers a wealth of things to do and places to visit. 3. Your Place in France from "My Place in the Sun"
A little less well known is My Place in the Sun. Instead of featuring property searches in France and other countries, this series focused on ex-pats who had bought previously and followed up their new lives. For many viewers, this was just as informative as the property search programmes, as it gave real insights into what it might be like to live in a given country, town or area, and thus could provide important research. 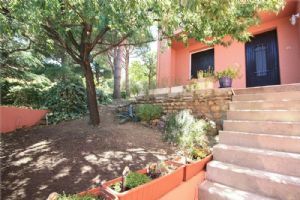 One of its programmes took a look at a couple who had bought a home in the town of Collioure, in the Languedoc-Roussillon region of southern France. Collioure (Collioure Property Guide), an old fishing village on the beautiful Côte Vermeille, is one of the region's most desirable locations. Backed by vineyards and snow-capped mountains, Collioure has a lively, Catalan ambience and is only a short drive away from the Spanish border. 4. A French Vision from "Grand Designs Abroad"
Grand Designs Abroad is hugely popular. Appealing to a wide range of people, the series follows the progress of ambitious building projects abroad, from the planning stage through to moving in. As everyone who has ever built a house knows, there are plenty of trials and tribulations along the way, and you can magnify these by ten if your project is in a foreign country or at least a country where you do not have a fluent grasp of the language! 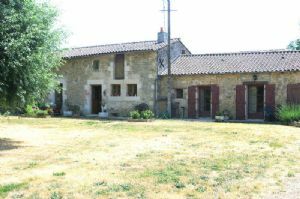 Grand Designs Abroad has been set in France on several occasions, with programmes having been filmed in Brittany (Brittany Property Guide), the Alps (Alps property, Rhône-Alpes Property Guide) and Provence (Provence-Alpes-Côte d'Azur Property Guide), among other locations around the country. 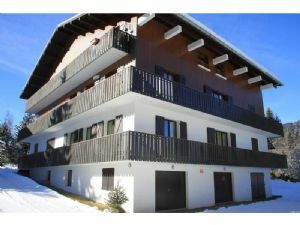 Les Gets (Les Gets Property Guide), in the Rhône-Alpes, has been the location for a Grand Designs project. The resort was once a traditional Alpine village (Best Alpine Villages in Summer), but is now one of the most desirable destinations in the French Alps. Residents of Les Gets have access to fantastic skiing along with all the extras: ski schools, lively après ski, kids clubs and a host of other sports in all seasons. A very different location for a very different Grand Designs project was that of Martel, in the Lot department of the Midi-Pyrénées. This was the site for the famous ecologically sound Straw Bale House, which sparked a host of copies. Martel is a really lovely mediaeval town which lies in the almost undiscovered countryside of the rural Lot. A perfect setting for an interesting project such as a straw bale house, or just a wonderful place to find your dream home. 5. Relocate to France with "Relocation Relocation"
Relocation Relocation is not mainly focused on properties abroad, but it does sometimes cover France. Couples seeking to relocate to a new area (at home or abroad) are shown a selection of properties in their chosen new locations, and the presenters hope that they have hit the spot with their choices. 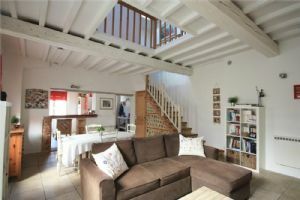 One programme told the story of a house hunt in both Darlington, in the north-east of England, and the French Alps, where the couple in question were seeking a holiday home. Crazy about skiing, the couple wanted to find a chalet close to the slopes of the fashionable resorts like Chamonix (Chamonix Property Guide) and Morzine (Morzine Property Guide). Both resorts have fantastic access to some of the best ski areas in the world, and also lively, well equipped town centres, with lots of shops, bars and restaurants. It is also possible to find traditionally styled Alpine chalets in these locations (Ski Chalets for Sale in France), whereas some ski resorts mainly consist of high rise blocks. 6. Moving to France with "No Going Back"
Sadly, no longer on television, but occasionally re-scheduled and always entertaining is the No Going Back series. Differing from the others in that each series focused on one person/couple/family throughout their quest to establish a new life abroad, the programme seemed to have something of a love affair with France, as several of its programmes were based in this country. One told the tale of married couple Amy and Benn Coley, who bought a guesthouse in near Biarritz in south-west France, with a view to running activity holidays as well as providing top notch gastronomic meals. Biarritz (Biarritz Property Guide) is always popular, and with the ski resorts of the Pyrénées within reach as well as the surf beaches and lively attitude of the Atlantic resorts and beaches. Later, in a follow up series, the couple also purchased apartments in the nearby ski resort of Cauterets (Cauterets Property Guide) as an additional enterprise. 7. The Original Brits in France in "Little England"
One of the later Brits Abroad style of television programmes is entitled Little England, and centres on the Dordogne department (Dordogne Property Guide) of Aquitaine. This area is so beloved of the English, in particular, that is has indeed been dubbed Little England by many, and in addition to the typical French culture of rural Aquitaine (Aquitaine Property Guide), you will also find here such novelties as Fish and Chip shops, cricket matches and English-style garden parties. 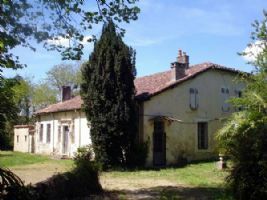 The series is not really focused on property seekers, rather on the lives of those who have moved here, but it gives a great feel for the area should you be considering upping sticks and finding a French home from home in the Dordogne. The first episode featured the town of Eymet (Eymet Property Guide), one of the most popular with British buyers. 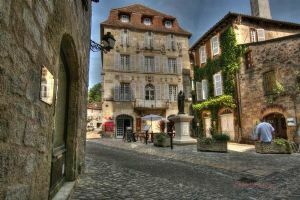 Eymet is within easy reach of the Ryanair airport at Bergerac (Bergerac Property Guide), and sits amid typical Dordogne landscapes in beautiful countryside. It has a superb street market as well as all the facilities anyone could hope to find. Television has a huge impact on our lives, and it is programmes such as these that have opened up the world to a lot of people who would not otherwise have considered buying abroad. Watching TV (Television in France and French TV) is, of course, no substitute for the real thing, and anyone thinking of buying property in France should spend as much time as possible getting to know their chosen area. 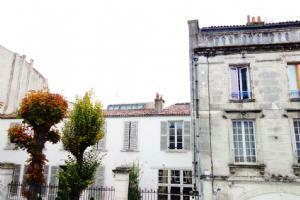 But programmes like those mentioned above are certainly a good way to begin finding that ideal location in France.